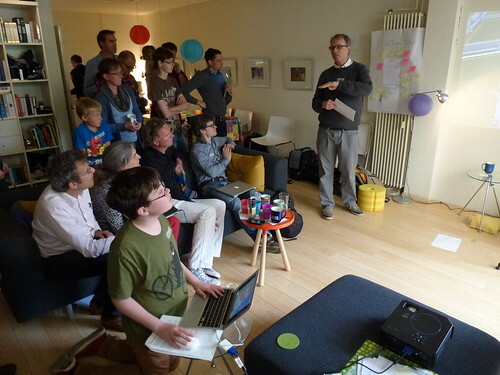 We are preparing for a new ‘Stuff That Matters’ unconference and bbq-party at Elmine’s and my home! “Smart Stuff That Matters” takes place on Friday August 31st and Saturday September 1st, in Amersfoort. The event is in honor of Elmine’s 40th birthday. Let’s throw her a party to remember. So what will the event be about? About what it means to be ‘smart’, for you, Elmine and me, and the people that are important to us. Smart Stuff That Matters will be about us, the things we care about, and the tools and behaviour we think we need to shape our lives in a complex world and to respond locally to global challenges. What is Smart Stuff that Matters? Smartness isn’t limited to technology, or to your ‘smart’ home filled with gadgets. What is smart in the context of your community, your family, and how you relate to your city, or the country you live in? What is the smartest way to tap into the global networks and knowledge we now have access to, yet shield yourself against some of the cascading problems? What provides you and the people around you with meaningful ways to decide, learn, act and organise together (the thing I call networked agency)? What skills and digital literacies are needed for you to consider yourself a ‘smart citizen’? How do we need to (re-)shape tools so they become active extensions of ourselves, within our own scope of control? Some of the smartest technologies are actually ‘dumb’ in the sense that they are passive technologies. Other technologies billed as smart aren’t so much in practice, such as the eternal internet-connected fridge or sticking Amazon dash buttons all over your house. The stuff that matters is not just technology but how we ourselves take action, as part of our communities and networks. Technology and different ways of doing things can help us and make us smarter. We’d like the program to be smart and adaptable, which means your own ideas, needs and wishes are major building blocks in deciding what to do. You are very much encouraged (and needed!) to actively help create the event with ideas, things you’d like to do, things you want to share, things you want to hear or learn more about, things you’d like to see. There’s no audience, the program is completely up to all participants. We will provide a framework for us all to get going during the day. Already got ideas or requests? Please use the google form mentioned below. We will aim to connect the event with other events and spaces in Amersfoort itself, and in the region, such as e.g. the Koppelting Conference. Also Frysklab have confirmed their participation again! Some first contacts have been made to explore other possibilities. We have send out an early ‘mark your calenders’ message 5 months before the event, and we’re sending out invitations in batches since the second half of May 2018. Didn’t get one yet? Do let us know if you’d like to attend! 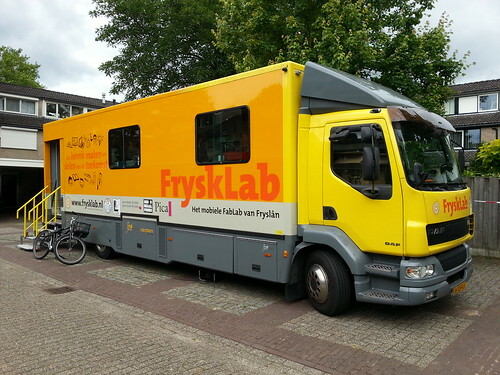 The Frysklab, a 14 meter long mobile FabLab, parked in front of our home at our 2014 event. Elmine and I have organized several unconferences as birthday parties. In 2008 on work / private life balance, in 2010 on ‘Working on Stuff that Matters’, in 2014 on ‘Making Stuff that Matters’. We are continuing the ‘Stuff that Matters’ series in 2018, with a new edition themed ‘Smart Stuff that Matters’. Want to join STM18? STM18 is a private event, and attendance is by invitation only. Would you like to get an invitation? Get in touch directly with Ton, or use the webform to express your interest. 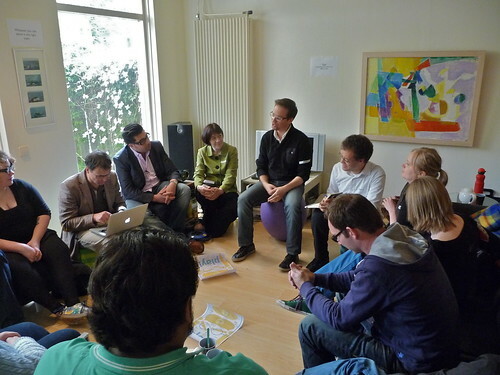 A photo of a session during Work on Stuff That Matters, our 2010 birthday unconference.